American motorcycle manufacturer Harley-Davidson has added a new member, The Harley-Davidson Street Rod 750 in its entry level range, to thrill the bike lovers in India. 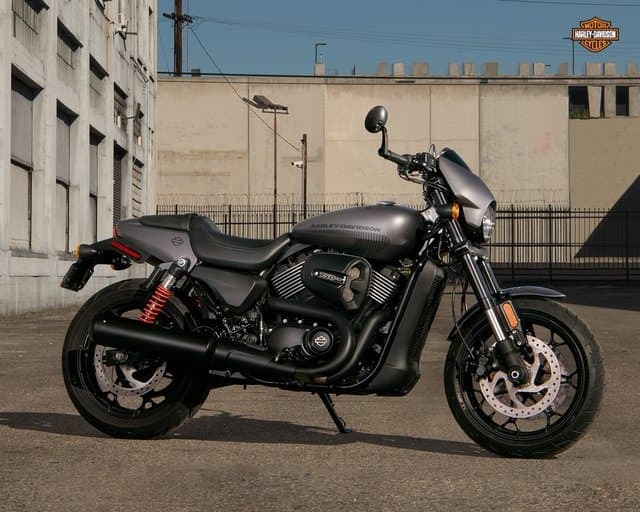 The new Street Rod 750 is based upon the earlier Harley-Davidson Street 750 and has drawn design inspiration from the now discontinued XR1200X model. The company claims the new Street Rod to offer 'a modern and slightly different aesthetic approach'. Its design is tuned for dynamic urban performance, thanks to the new High-Output Revolutionary X Engine and refined chassis, pairing up to deliver raw power and nimble handling. 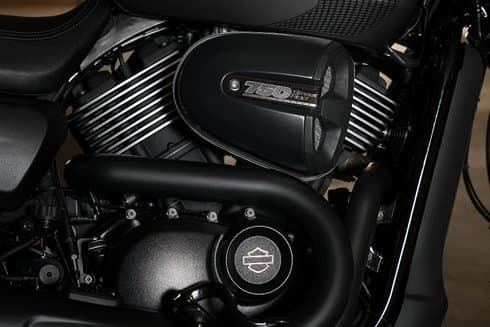 The Harley-Davidson Street Rod is powered by a new 749 cc High Output Revolution X V-Twin engine that pumps out 62 Nm of torque at 4000 rpm with the engine compression ratio rated at 12.0:1. There is liquid cooling to support the performance and ensure rider comfort in stop-and-go urban traffic scenario. To match the design theme, the engine is painted black imparting a tough and aggressive look. Measuring 2,130 mm in length, 765 mm in unladen seat height, 205 mm of ground clearance and sitting on a wheelbase of 1,510 mm the kerb weight of the Street Rod is 238 kg. It gets a 13.1-litre signature Harley-Davidson metal teardrop fuel tank with a new graphic and Harley-Davidson script and an updated exhaust system for a true Harley-Davidson Sound. Rigid 43mm inverted front forks and piggyback rear shocks handle the suspension duties while the dual front disc brakes, dual piston calipers and ABS teams up to ensure better ride quality and responsiveness in urban road conditions. The handlebar features a 3.5-inch electronic speedometer with odometer, engine diagnostics, low fuel warning and LED turn indicator lights. Harley-Davidson India has updated the details of the Street Rod 750 on its official website, but the launch date isn't confirmed as of now. The bike will be made available in three color options: Charcoal Denim, Vivid Black and Olive Gold and is expected to be priced at around Rs 5 lacs, ex-showroom New Delhi. It is defined as the ratio of max engine volume to minimum engine volume. A 12.0:1 rating means, it compresses the volume to 1/12th the volume which actually occupied before. For detailed info, you can refer to the Wikipedia article.